Ben Bernanke’s testimony on the fiscal outlook is largely unobjectionable, but this business about how “the prospect of unsustainable deficits has costs, including an increased possibility of a sudden fiscal crisis” is nonsense. He says, “As we have seen in a number of countries recently, interest rates can soar quickly if investors lose confidence in the ability of a government to manage its fiscal policy.” This is not, in fact, something that we have seen in any countries recently. Countries that borrow in their own currency—the United States, the United Kingdom, Japan, Sweden, etc.—face no risk of sudden-stop lurches in interest rates because their central banks control their interest rates. What we did see recently was that people used to think the European Central Bank would stand behind Italy and Spain the way the Bank of England stands behind the United Kingdom. The ECB turns out to be run by sociopathetic madmen. 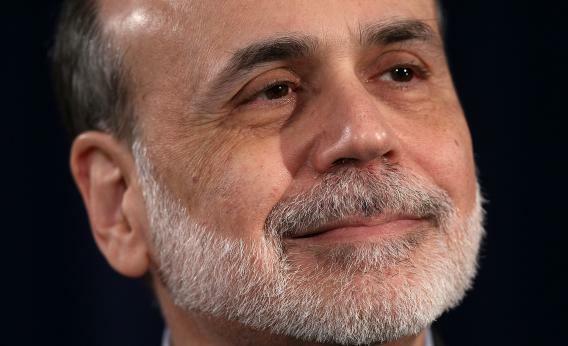 I grant that it is possible that the U.S. Federal Reserve system is also run by madmen, in which case Bernanke should warn us about that, since while the CBO Director is perfectly capable of talking about the budget, only Bernanke can talk about Bernanke’s personal policy preferences. A fall in the value of the dollar as foreign savers lose their taste for dollar-denominated financial instruments. A rise in the price level, as the monetary base expands rapidly in the face of central bank efforts to stabilize interest rates. Under the present circumstances it’s actually far from clear that expansions in the monetary base do cause inflation, but a rise in the price level would be welcome. A fall in the value of the dollar would also be welcome. If you look at the long-term budget predictions and try to peer beyond the veil of accounting, what you see is this: If in the future there are more old people and more possible health care treatments to give to old people, then in order to give all those treatments to old people someone will have to pay the taxes to pay the people to pay for the treatment. Since people don’t like paying taxes and people also don’t like denying medical treatments to old people, this gives us a very real dilemma about possible future states of the world. But there’s no way that this future dilemma can cause problems right now for country with high unemployment, low inflation, and a large trade deficit.